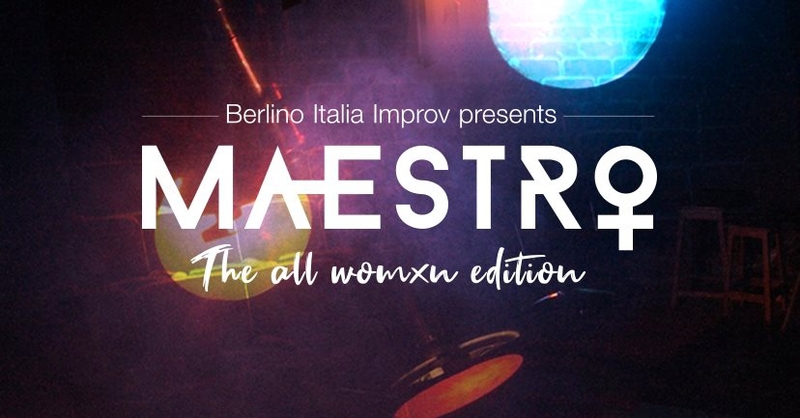 Come join us for an evening of excitement and hilarity as renowned Spanish improviser Paula Galimberti directs an international cast of female improvisers in the sometimes ridiculous, sometimes ruthless, but always riveting impro format—Maestro™. Chosen at random to take the stage, players will be challenged by our Director to step into the unknown: acting out scenes together, performing solos or even singing songs at Paula’s every directorial whim. But, it is you—our audience—who has supreme control: scoring our players’ performances and ultimately deciding who will make the cut to the next round of eliminations. In the end, only one will be crowned the champion—The Maestro™. Please note: although this event is in English, you will still enjoy the show as a non-native speaker, as many of our improvisers also speak English as a second language.